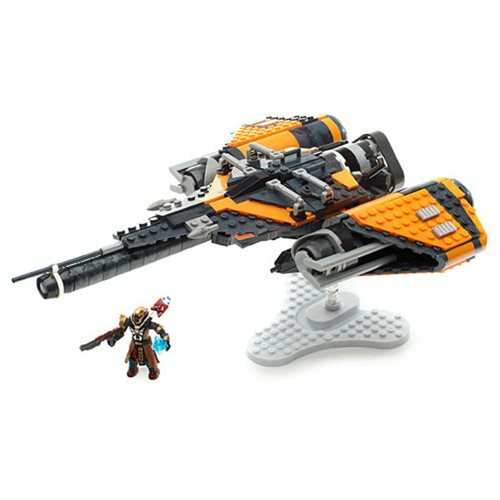 Leap to new heights with the Arcadia Jumpship by Mega Bloks Destiny. Swift and compact, Jumpships are designed for quick interplanetary trips where speed is of the essence. Build the Jumpship, then ready your Warlock for a jaunt across the solar system. The highly detailed, super-poseable Warlock micro action figure comes with authentic wepons and accessories for customization, while the jumpship features a transparent stand for optimal display. Arcaidaa ship playset contains 501 Pieces. Ages 8 and up.